I often receive emails from enthusiastic home confectioners wondering how they can turn their interest and talent into a career. Unfortunately, it takes more than a passion for starting your own candy or chocolate business; like any entrepreneurial effort, it requires a huge investment of time, effort, and money. In order to get a sense of what such an enormous undertaking involved, I went searching for a successful candymaker who could shed light on the process. Art Pollard, the founder and President of Amano Chocolate, was kind enough to answer some questions about his experiences starting a small gourmet chocolate business from scratch. Read on to find out how he began making chocolate (at home! ), his biggest challenges, what books and classes he recommends, and what advice he has for YOU, the home confectioner. Candy Guide: Let's start with you. The website says your professional background was in the sciences. 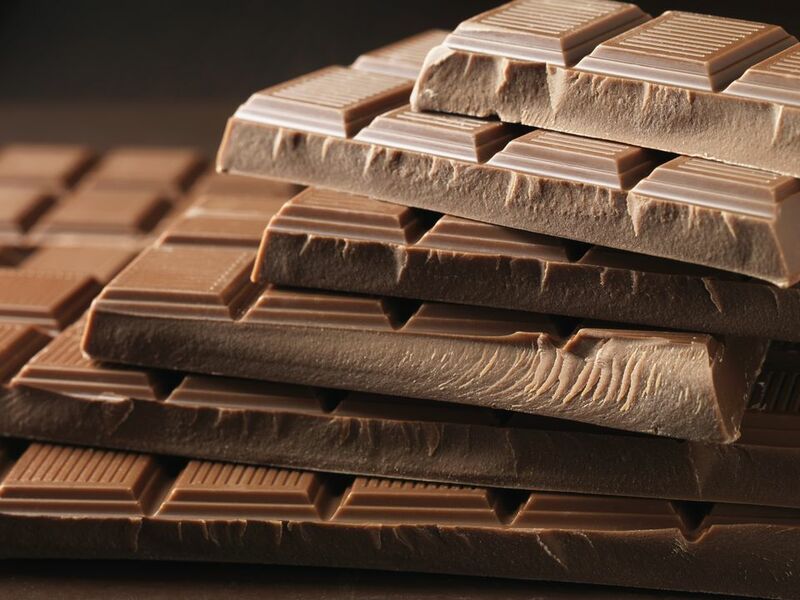 What sparked your interest in chocolate? How did you go from a personal interest in chocolate to deciding to make it a full-time career? While I was still attending college, I thought it would be interesting to make my own chocolate. I mentioned this to a friend whom I worked with in the physics department. At the time I did not know what was involved, only that it wasn't commonly done. He told me that I couldn't do it and that it was mostly impossible without hundreds of thousands or millions of dollars in equipment. This caught my interest, though, at the time, I did not pursue it very far. Not long thereafter, I was in Hawai'i on my honeymoon, and my wife and I found an outlet for a Belgian confectionery company. The chocolates were beautiful. They were in a whole spectrum of colors, and arrayed in a beautiful glass display case, they looked like glistening gems. At the time, they were probably the most beautiful confections I had ever seen. When I asked the lady at the counter how much they cost, she replied $2.00. I was floored. $2.00 for a little piece of "candy"! I was poor at the time, having recently graduated, and my software company was still limping along. And $2.00 was worth even more then than now. Even so, I sprung the $4.00 for the bon-bons for my wife and me. Immediately upon tasting it, we both looked at each other and knew that this was something special. I was hooked. Unfortunately, the company where I first discovered my love for chocolate is no longer represented in the United States. Even so, I will always remember that first moment when I discovered that a bon-bon could be not only a piece of candy but a piece of art. As my software company grew, I started to experiment with building my own chocolate refiner as a way to escape coding when I needed to clear my head. I experimented with different designs to see how each design changed the flavor and texture of the final chocolate. Eventually, after much iteration, I came up with a design that I thought worked very well. Others apparently thought so too, because it was not long before my friends and family were clamoring for my chocolate. It was not long before I was regularly coding in one room while listening to the chocolate refiner chug away in the other room. After a time, my software company landed a large contract, and my business partner and I decided that we wanted to do something out of the ordinary with the windfall. He suggested that we make chocolate, since I was already making incredible chocolate in the machine I had built. Initially, I was pretty hesitant, since at that time, I had enough experience to know what a huge job it was and that there were very good reasons why people did not make chocolate from scratch on a small scale. Even so, after many discussions with my business partner, my friends, family, and local chefs, I was eventually persuaded, and off we went. Candy Guide: How did you learn to make chocolate? Did you take classes, apprentice with anyone, study on your own, or do some combination of the above? Art Pollard: Most of what I learned, I learned through trial and error while I was building and testing my chocolate refiner. I hunted as much information as I could through my local university library and purchased many rare and hard to find books. This helped me along the way. There is a lot of difference, though, between making chocolate on an industrial level for industrial purposes in order to make a fifty-cent candy bar at the lowest possible cost and where I wanted to go. My goal was to produce a bar that was focused entirely on flavor. Here, I was on my own. Once I had my process nailed down, I went to Europe and studied chocolate making at a confectionary school. Here again, the focus was on the industrial manufacture, and so I had to glean what I could from the classes and blaze my own trail. I made many good friends while I was there, some of whom I still keep in touch with. I also spent time traveling around Europe visiting both chocolate shops and chocolate factories. I found this to be immensely useful from my point of view. One of the things my classes and my research had never taught me was the best ways to deal with the myriad of small problems that crop up when making chocolate on a large scale. There are always things that you never realize until you are right in the thick of it, and by then it is sometimes too late. This knowledge was, I believe, more valuable than when I went to school, since it was practical and incredibly useful. Candy Guide: When I hear "chocolate factory," I get visions of Willy Wonka. Can you describe your factory setup? How many workers do you have? Where did you get your machinery? Art Pollard: Our factory is pretty small. Right now, our factory is only about 2,000 square feet and all a single room. We have recently taken over another unit in our building and are working on getting it painted and ready so that we can expand into it as well. When we started out, we had just enough space to make chocolate and no more. However, now that we are up and running, we have found that we could really use more space than what we had initially planned. Along the walls, we hang large poster-size prints of cocoa flowers, cocoa pods, and various places from my travels to Central America and elsewhere. This helps bring some color to our factory and liven things up. I do almost all of our photography, so there’s a great sense of satisfaction in seeing such beautiful prints on the walls and knowing that they were not purchased but are my own creation. Our process starts with loading the cocoa beans onto a sorting table. The table has a hoist over it which allows us to lift the bags into the air so we can empty them easier. All of our cocoa beans are at this point sorted by hand to ensure that the bags we receive from the farm do not have rocks, sticks, and farm implements in them that might damage our machinery or get into the final chocolate. We find all sorts of interesting things tucked away in the bags of beans. Once the beans are sorted, we use a wheelbarrow to take them over to our roaster. We imported our roaster from Portugal. Although manufactured in 1962, it follows an earlier design. In fact, an engraving from a chocolate book was published in 1912 shows an almost identical roaster. It is cylindrical, five feet around and about eight feet tall. A large door opens on the front, swung up via a counterweight. Inside is a large sphere about four feet in diameter, into which we load and roast our cocoa beans. When the circular lid is off, I can't help but think that it looks like the Death Star from the movie Star Wars. When we roast the cocoa beans, all our neighbors can smell the aroma. Our neighborhood smells like a large oven full of brownies. Our neighbors tell their visitors about what a wonderful area in which they get to work. Our next machine, our winnowing machine. It is located right next to the roaster. The winnowing machine crushes the beans to help separate the fibrous husk from the meat of the bean. The winnowing machine then classifies the bits of bean (called "nibs") by size and then uses a vacuum system to separate the light husk away from the heavier nibs. When the nibs come out of the winnowing machine, they fall into tubs and are ready to be made into chocolate. We use a melangeur (a French word that means simply “to mix”) to grind our nibs into chocolate liquor. For the uninitiated, this is not a drink with alcohol but simply ground up cocoa beans—the equivalent of baking chocolate. We add sugar here as well as vanilla. I personally source our vanilla just as I source our cocoa beans. Once the ground beans have reached the right consistency, we load the chocolate into five-gallon buckets and load it into our next machine, the roller mill. A roller mill is a large machine in which a series of rollers roll against each other, being pushed together with lots of force. We use the roller mill to grind the chocolate ingredients until they are perfectly smooth. Many people find it interesting that when the chocolate comes out of the roll refiner, it is not liquid but is flakey, like sawdust. When all the chocolate has run through the roll refiner, we load it into our conche. Essentially a conche is a machine that heats the chocolate and stirs it or otherwise moves it around for a long period of time. This process allows a number of volatile oils and acids to evaporate and improves the flavor and texture of the chocolate. A number of other aspects to conching also help improve the flavor and texture. Conching is a crucial phase, it is very important for flavor development. I spend lots of time at the factory as we are conching; sometimes I have been known to sleep there just so that I can be sure to adjust the speed and temperature of the conche as it massages the chocolate so that the final chocolate is as close to perfect as it can be. It isn't all romance, however. When we are in full production, our factory gets to be very hot. This is nice in the winter, but during the summer months, it can be quite an experience. As the conche runs, acids (such as acetic acid) evaporate, as well as do the other volatiles. Depending on the type of bean, this can make your eyes water, and it takes time to get used to. Finally, with all the machinery, our factory can be very loud, so the wearing of hearing protection is mandatory. It is, in the end, very hard and difficult work. At the same time, classical artists have long worked in sweltering conditions to be able to create porcelain, glass, and bronze sculptures. Chocolate is, I believe, no exception to this great tradition. We have three workers. Two of us make the chocolate, while a third, whom we just brought on, markets it. I personally oversee each and every batch of chocolate and formulate the recipes we use. As to where we obtained our machinery, most all it is out of Europe. Europe has a chocolate making tradition that the United States does not have. In the United States, a few key players for many have dominated chocolate making for many, many years. For this reason, it is very difficult to obtain machinery in the United States for making chocolate, though machinery for making confections is relatively easy to come by. Candy Guide: How long did it take to go from making chocolate at home to opening the factory? Art Pollard: Well, I had made chocolate for a number of years at home for my friends and family before I ever even started considering making chocolate professionally. Once we decided to begin selling chocolate on a larger scale, it became a whole different ballgame. The chocolate refiner that I had so carefully constructed was too small. Further, our goal has been to make some of the world's most incredible chocolate, and the chocolate refiner I had built simply did not have as much control as I wanted. Because of this, we had to look to Europe to find the equipment we needed. Most of the equipment we wanted was difficult to find even in Europe, and my search took time. I spent quite a bit of time tracking down machinery that would work not only for chocolate making but would also create the specific flavor profile that I was seeking. I would fly out to inspect it and sometimes even try it out. Once we found the appropriate machines, the job was just beginning. From there, we had to import the machinery, refurbish it, repaint it, hook up the electrical controls, and get it all up and running. We also had to find a suitable building. This took a lot of work in itself because not every building was suitable, but once we found a building we consider to be "almost perfect,",we had to remodel and repaint it to get it ready. All in all, It made for lots and lots of work and many late nights. It was common to work a full day at the factory, then come home and spend time with my family. Once my kids were in bed, my business partner Clark, and I would meet back at the factory for several more hours of work. So all in all, it took us about three years to track down the equipment we needed, refurbish the machinery and remodel our space. I doubt we could have done it in less time, as most of the time delays were outside of our control (such as needing to refurbish equipment that was supposed to have been in good working order when we bought it). Candy Guide: There has been a lot of talk and criticism about how the candy industry is dominated by a few enormous companies, and smaller family operations are being bought out or squeezed off the shelves. I imagine that as a start-up chocolate manufacturer, this must have been a concern. How do you approach the issue of gaining recognition and distribution? Art Pollard: Quite frankly, much of the criticism is legitimate. The candy industry, especially lately, is marked by takeovers. Now, almost every recognizable candy is made by less than half a dozen companies. A few struggling companies remain independent, such as JustBorn (Mike and Ike, Hot Tamales, etc. ), but larger companies are few and far between. Just look at the back of the package the next time you purchase a candy bar. You will be surprised by who actually makes it. Two of our competitors were purchased not too long ago, and I imagine the acquisitions such as these will continue for quite some time to come, further consolidating the industry. Even so, there is still a huge amount of room in the confections industry. We are all familiar with the local chocolate store where hand-dipped chocolates are made. Just about every town has a store like this, and many cities have quite a few. This is where the large industrial giants can never compete. They cannot give the care and attention that a local store can provide. Furthermore, very good quality truffles and bon-bons simply cannot be distributed by the industrial candy giants because of the additional labor required to produce and the shorter shelf life of the product. This opens the door to the small confectioner. As far as we are concerned, our goal is to simply make the very best chocolate. It is against my personal philosophy to grow a company just to have something to sell. My background in software has allowed me to observe many acquisitions. I have found that no matter what promises are made by the purchasing company, when a company is purchased, the corporate culture will change, often destroying what once made a company great. Key players will be fired, asked to leave, or sidelined, and the result is overturned lives; and in the end, the quality will be affected. I believe this is not fair to the employees who have built the company and is not fair to the consumer who has built a relationship with it. Apple computer had similar problems: the company went for many years as beholden to the stock owners and their demand for short-term gains. Once Steve Jobs, one of the original visionaries who started Apple, came back, all sorts of wonderful things have started to happen (the iPod just being one of them), and the magic returned. As to how we get the word out, the answer is contained in one word: "quality." When we have shared our chocolate with others, they have been amazed at the outstanding quality we have been able to achieve—especially in such a short period of time. You find people who have never liked dark chocolate before loving our chocolate and not only ordering it from us but also telling their friends. I believe that if you can achieve a high level of quality, the public will respond—especially if you have a strong passion for what you do, as we do. The public has been inundated for years with mediocre products, and in this arena, the small confectioner cannot compete. The large companies have this area sewn up and probably always will. However, I believe that there is room at the high end and in the specialty niche markets where the large industrial companies cannot compete. There are too many different niches for any one company to fulfill. Furthermore, they measure success in thousands of tons, whereas a small confectioner can easily measure success in numbers much smaller. The small confectioner is also in a ready position to innovate. Just as in the confectionary industry, you see this in the software industry, where it’s the small software companies that constantly innovate and move the industry forward. Sure, Microsoft copies them (or buys them), but it is the few lone wolves out there that push the envelope. And as much as Microsoft might like to, it still has not eliminated the small programming shops. I believe this analogy holds for the confectionary industry. What has been your biggest challenge in starting your own chocolate business? Do you have any advice for would-be candy entrepreneurs? What's on the horizon for Amano Chocolate?